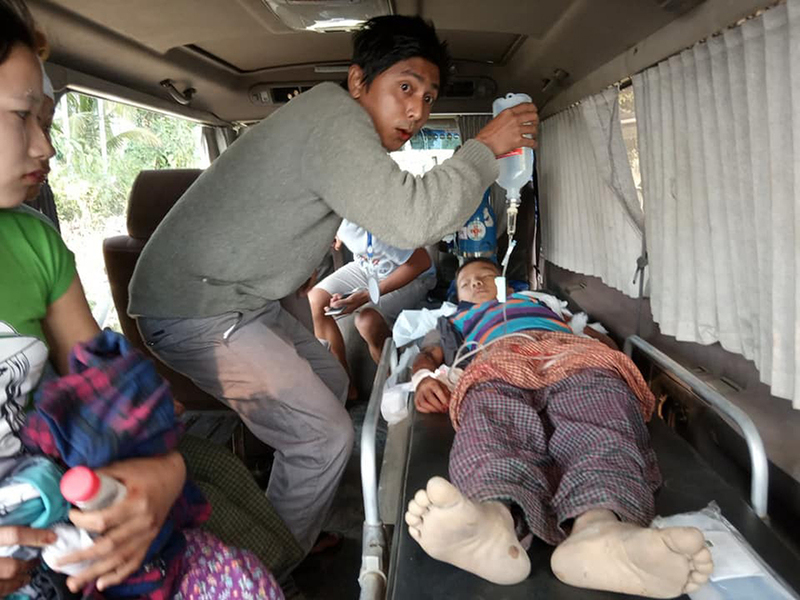 SITTWE, Rakhine State — Two brothers were injured by an artillery shell that fell on their house in the north of Rakhine State’s Maungdaw Township on Wednesday, according to their father and a local aid group. 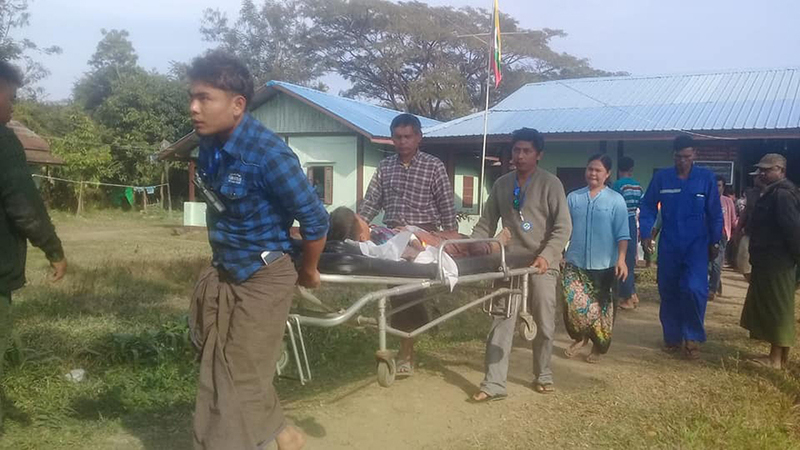 Maung Kyaw Hla, 18, and Maung Kyaw Naing, 12, were sent to Maungdaw Hospital to be treated for their wounds, said Ko Chit Htoo Khaing, chairman of the Maungdaw-based Garuna Network humanitarian aid organization. “One was hit in the right side of the head and the other in his left shoulder,” he told The Irrawaddy. 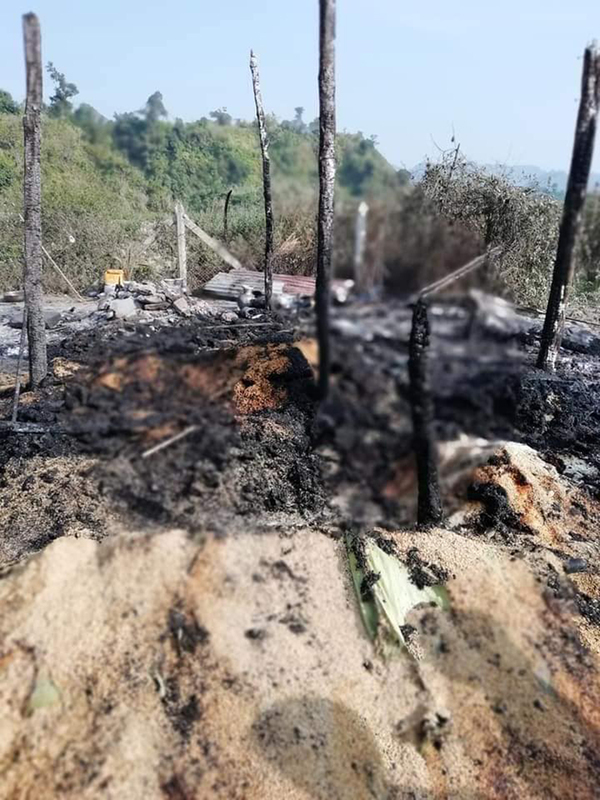 Like most of the more than 100 households in Yan Aung Myin village, both victims are members of the Daingnet, a tribe of the Arakanese ethnic group. U Htwee Maung, their father, was with his sons when the shell exploded but was not injured. There were reports of a clash between the Arakan Army (AA) and border guard police near the village on Wednesday afternoon. “I heard that the AA troops attacked a border guard police vehicle near the village, but I don’t know exactly,” Maungdaw Township Administrator U Myint Khaing told The Irrawaddy. The Myanmar Army and the AA have been fighting in Kyauktaw, Rathaedaung, Ponnagyn, Buthidaung and Maungdaw townships in recent weeks. More than 5,000 locals have been displaced.